Team Clark Logic values our sponsors and the commitment that they give throughout the year to our race team. We strive to represent each and every one of them in a positive way during each event and throughout the community. If you, or someone you know, may be interested in being a part of who we are and helping us achieve our goals you may view our Sponsorship Agreement HERE or reach us through our Contact Page. Clark Logic offers innovative, single-source logistics solutions for businesses large & small. Our extensive trucking fleet consists of tandem axle semi tractors, dry van & temperature controlled trailers, Landolls, flatbeds, open decks and more. And our holdings consist of more than three million square feet of warehouse and industrial storage space. In 1971, recognizing that Southwestern Michigan offers a rare combination of good bicycling roads and great scenery, several cycling enthusiasts got together to form the Kalamazoo Bicycle Club. They wanted to support and encourage other riders in the area, to promote the sport of bicycling, and to have fun. That tradition continues today in the Kalamazoo Bicycle Club. We serve the greater Kalamazoo area. You’re our people. We ride where you ride. We know the local scene. We like to do the stuff you like to do. The corollary to this is that we’re not an internet bike shop. Yes, we have this lovely site, but we’re not interested in selling bike stuff to a guy in Albuquerque – not because he’s a bad guy, but because we’d rather focus on the good folks in and around our home. 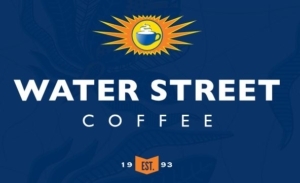 The original Water Street Coffee Joint opened in February 1993 in Kalamazoo, MI as a one man shop. The success of that Café lead to our very own Roaster, four additional Cafés, the Kitchen, Wholesale partnerships, over 100 employees and more than 1000 happy customers each day. Quality, Creativity, and Community continue to drive Water Street to this day. CMS Logistics is a regional transportation and delivery company, with an unparalleled fleet of premium, state-of-the-art flatbed, Landoll, curtain side and van trailers. No matter what your transportation, hauling, material handling, or equipment and container delivery needs are, CMS Logistics offers comprehensive, flexible, cost conscious logistics solutions to meet your specific needs. Dalzell Coaching LLC is designed to perform the art of athletic coaching while understanding the science behind the methods. It is our vision to connect with each athlete individually. Through individual training plans and personal relationships we will target the goals of each athlete. Without a fun, trustworthy, and honest relationship, our business will cease to accomplish the task at hand. Intentional Yoga’s iY Hot Yoga, Fire & Ice, Power Flow, Sculpt, plus many other classes are designed to make yoga accessible and enjoyable for EVERYONE. No one gets left behind in this supportive environment. Learn to calm the mind, open the heart, and strengthen the body. We’ve created the ultimate yoga experience where you can sweat, smile and stretch your way to a full mind-body transformation. Select Building and Design is a construction company that specializes in home building – new construction and remodeling. We take great pride in the attention to detail on all of our projects. We only manage a limited amount of projects at one time so that yours can take priority. This allows us to maintain complete control of your building project and provide excellent customer service. Medbio, Inc., is a premier contract manufacturer offering innovative manufacturing solutions for the medical and biotechnology industries. We specialize in precision injection molding, injection mold tooling, assembly, packaging, project management, and design support.